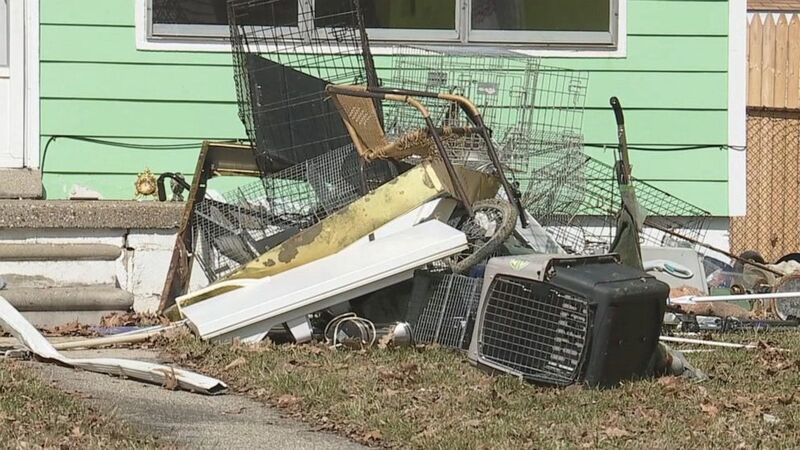 Michigan animal control officials have removed a total of 90 pets living in deplorable conditions from a home where a woman was being evicted. Add Pets as an interest to stay up to date on the latest Pets news, video, and analysis from ABC News. 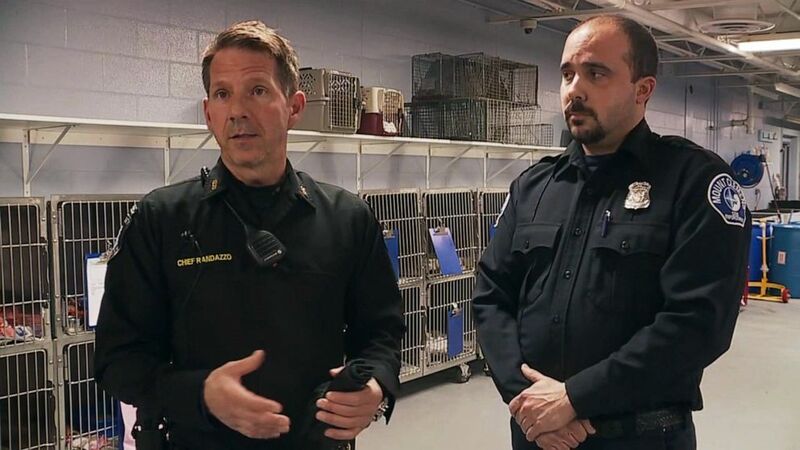 Animal control was called to the Mount Clemens home on March 28 after a court bailiff went there to alert the woman that she was being evicted, Macomb County Animal Control Chief Jeff Randazzo told ABC News. The woman, who is in her 60s, had only lived in the Mount Clemens home since November 2017 but somehow obtained 88 cats, a dog and a beta fish during that time, Randazzo said. It is unclear how many pets she had in her possession when she moved in, but the cats likely multiplied during the time she was living there, according to ABC Detroit affiliate WXYZ. 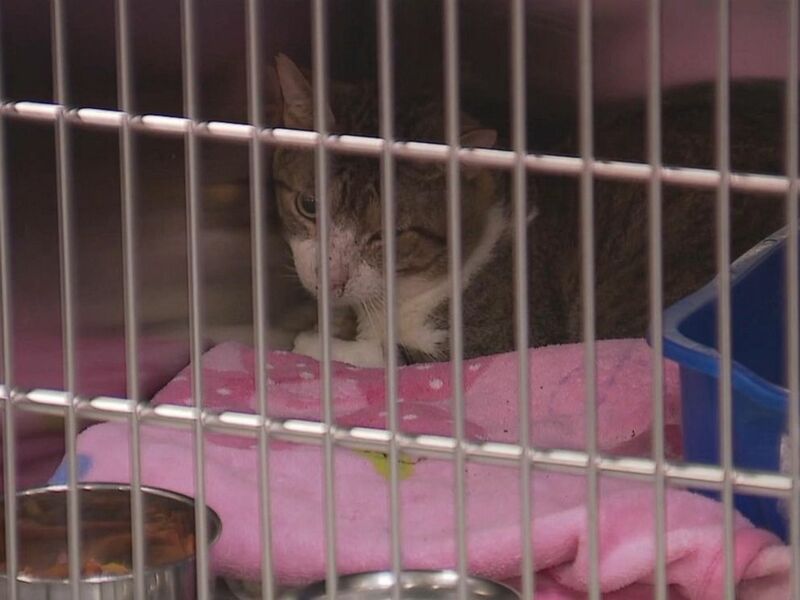 Macomb County Animal County seized 88 cats, a dog and a beta fish from a home in Mount Clemens, Michigan, where a woman in her 60s was being evacuated. The three-bedroom ranch was just 1,200 square feet, Randazzo said. The cats did not have access to the yard. A large dumpster in the front yard was filled with her belongings as cleanup crews cleared out the residence, video from WXYZ shows. When Randazzo and his staffed walked in, "it didn't take long" to realize how dire the situation was, he said, adding that there were "piles" of cat feces, "inches-deep" in some areas and an "overwhelming" stench. His staff and the cleanup crew had to wear hazmat suits as they worked inside, he said. The dog, which Randazzo described as a "friendly" and "social" Maltese mix, was inside of the woman's car with several ill cats when animal control arrived, Randazzo said. 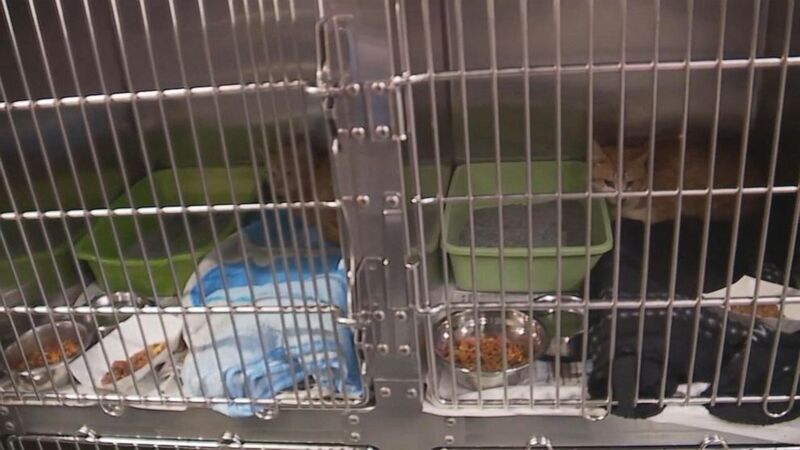 Many of the cats were inbred and pregnant when they were seized, Randazzo said. Most were in poor health and had not been vaccinated, Randazzo said. The woman told animal control officials that she was running a cat sanctuary and most of them were feral and living outdoors before she brought them into the home. At first, the woman would not sign over ownership rights to animal control, Randazzo said. While she was being treated at the hospital for an infected cat bite, Randazzo visited her there, and she finally agreed to waive ownership of all of the animals except for the dog, which was taken to Florida to live with her brother, Randazzo said. All of the cats have been placed in rescues that work with animal control, Randazzo said. In hoarding situations, the animals are often not adopted quickly because they need more time to "decompress" and socialize. But they will be placed up for adoption eventually, he added. None of the neighbors knew about the animals, as the front and side windows were blocked off, WXYZ reported. The incident was Macomb County's third large-scale animal seizure in about a month-and-a-half, Randazzo said. The Macomb County Prosecutor's Office filed felony animal cruelty and neglect charges against the woman on Monday, Randazzo said. Prosecutor Eric Smith described the case as "deeply disturbing" and vowed to prosecute the case to the fullest extent under the law.